Public agencies nationwide are utilizing Public Private Partnerships (P3s) to allocate project risk and capital to build and repair critical transportation, water, airport, energy, military, and social infrastructure. 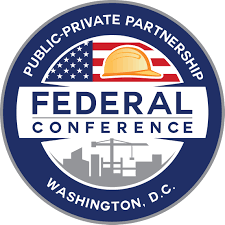 At the recently held P3 Federal Conference in Washington, D.C., infrastructure owners, consultants, contractors, and developers examined the financial, technical, and legal considerations that go into evaluating P3 as a project delivery option. Infrastructure owners such as the cities of Chicago, Washington, D.C., and Denver were on hand to discuss their successes with P3s, as well as the process they go through to pick the appropriate project delivery process. P3s are contractual arrangements between an owner (typically a public agency or municipality) and a private sector entity (typically a developer or financial partner and a design/engineer team). Through this agreement, the assets and skills of each participant are shared in delivering the project for use by the public. P. Joseph Lehman, Inc., Consulting Engineers participated in the dialogue between infrastructure owners, such as the cities of Chicago, Washington, D.C., and Denver, and federal representatives, including Mr. D.J. Gribbin, Special Assistant to the President for Infrastructure Policy. In total, over 85 experienced speakers presented on the value proposition behind P3s, principles of successful partnerships between owners, engineers, builders, and developers, and how P3s are being used to improve infrastructure nationwide. While the traditional delivery methods of Design-Bid-Build and Design-Build are still the prevalent models for delivering infrastructure projects in the U.S., P3s continue to gain momentum. 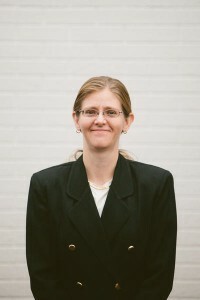 According to Dr. Linda Hanifin Bonner, Executive Operations Manager, Water Design-Build Council, “P3 projects are often perceived as large and complex, and they typically require a developer to serve as an intermediary between and owner and their traditional design consultant.” Traditional roles and relationships between owners and their “trusted advisers” in engineering roles may be disrupted, particularly for smaller firms. In addition, many contractors or builders look for designers and engineers who know and have standing relationships with project owners. Maryland’s Secretary of Transportation, Pete K. Rahn, discussed what could potentially be the largest proposed P3 project in the Nation. Including the Washington Beltway, S.R. 270, and the Washington Parkway, this P3 project could have a price tag of close to $9 billion. According to Rahn, this area now ranks as the single most congested area in our country. Building on Maryland’s prior P3 successes, such as the Purple Line Transit Project, Rahn described this proposed project as a “quality of life” project. P3 Projects are here to stay; they offer an alternative delivery method that leverages private funding resources, otherwise not available to owners. P3s have their own unique set of risks and weaknesses which need to be seriously considered. Comparing project delivery options, including weighing associated risks, is something that many infrastructure owners are seriously considering for future projects around the country. Funding is a constant challenge for municipalities, especially when considering undertaking a large commitment like a transportation project. To aide in these endeavors, a municipality may apply to the governments for cost reimbursement programs to alleviate a significant portion of the financial burden. If your municipality meets certain criteria, it may be eligible to have as much as 95% of the total project costs funded. Liquid fuels monies may also be used for local projects. We will also discuss the PA Infrastructure Bank (PIB) as a potential funding option. It is worth noting that reimbursement programs are not the same as grants. With a reimbursement program your municipality must first incur the cost then place a request for reimbursement from PennDOT via a formal invoice. Cost reimbursement programs include the Surface Transportation Program (STP), State Bridge funding (Act 89), discretionary funding from the legislature, and other various Federal and State programs. For this blog, we will focus on STP, Act 89, and discretionary funding. The STP is used as flexible funding that may be used by states and localities for projects to preserve and improve the conditions and performance on any Federal-Aid highway, bridge, and tunnel projects on any public road. The Appalachian Regional Commission (ARC) is a federal organization responsible for the Local Access Road program funding. Monies from this program are included in STP funding. ARC Local Access Road program funding affords State Governors the opportunity to use up to $3,000,000 of Appalachian Development Highway System Programing awarded to each state. For more information on the Local Access Road program click here. Resurfacing/rehabilitation are not eligible for Local Access Road funding. Discretionary spending by the legislature is a process in which a specific project is explicitly identified within federal legislation. Act 89, originally known as the “Bridge Bill” when initially passed in 1982, is the transportation funding vehicle used by the Commonwealth of Pennsylvania. Projects must be included on the Statewide Transportation Improvement Plan (STIP)/Twelve Year Plan (TYP) to receive Act 89 funds. From 2014 through 2019, between $2.2 million and $2.4 million will be spent on transportation projects throughout the Commonwealth. Act 89 is also the funding vehicle for the Dirt and Gravel program, increasing the available monies from $5 million to $35 million and earmarked $8 million for roads with 500 vehicles per day or less. The primary focus of the Dirt and Gravel program is not paving and repaving roads, instead the focus is on long-term environmental benefits. The one limitation to large culvert and bridge replacement is that the structure must be deemed undersized and be the cause of stream degradation. The application process is completed through your local conservation district. Any state or local entity maintaining public roads is eligible to apply. The PIB provides direct, low-interest loans offered as a financing opportunity for transportation projects throughout the Commonwealth of Pennsylvania. The interest rate is figured at half of prime, 2.125%, at the time of this writing, with a repayment term of up to 10 years. A PIB loan may also be used to meet the matching requirement for cost reimbursement programs. For every project, except equipment loans, a match is required from the municipality. You can read more on PIB by checking out the official handbook online here. Below is an example of what a current projects list from PIB looks like, note the projects that a PIB loan was used to fully fund. P. JOSEPH LEHMAN, Inc., Consulting Engineers is committed to assisting our clients in any way possible, including assistance with obtaining funding for your project. Our experience Grantsmanship team has worked to assist in obtaining funding for multiple boroughs, townships, counties, and private entities. 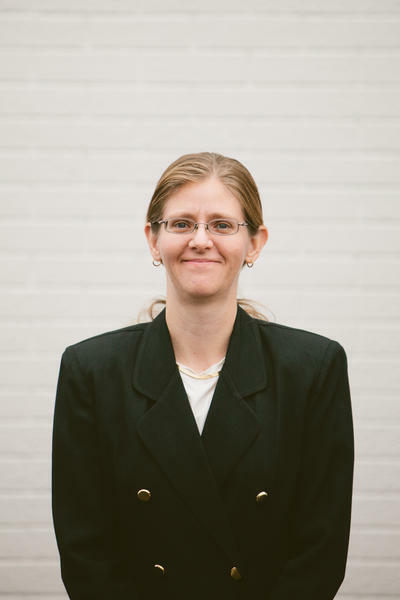 If you have any additional questions regarding funding for your project or would like to further know how P. JOSEPH LEHMAN, Inc., Consulting Engineers can possibly assist you with funding for your project please do not hesitate to contact us at (814) 695-7500. 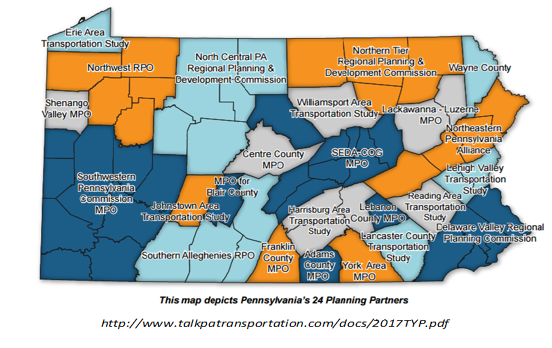 PennDOT has finalized the details of the 2018 Transportation Alternatives Set-Aside funding and intends to allocate $55 million during this statewide funding round. Eligible applicants may apply starting July 10th, all applications must be completed online on the webpage https://spportal.dot.pa.gov/planning/appreg/TAP/pages/default.aspx and must be submitted by September 22nd, with project selections being made in late January 2018. Eligible applicants/sponsor include: local governments, regional transportation authorities, transit agencies, natural resource or public land agencies, school districts, local education agencies, schools, and tribal governments. The 2018 Transportation Alternatives Set-Aside funding is earmarked for programs and projects defined as transportation alternatives, such as on- and off- road pedestrian and bicycle facilities, infrastructure projects for improving non-drive access to public transportation and enhanced mobility, community improvement activities, environmental mitigation, recreational trail program projects, and safe routes to school projects. PennDOT’s examples of project activities include but are not limited to: sidewalks, bike lanes, wide paved shoulders, off-road trails, rail trails, pedestrian signals or signs, traffic calming, lighting that primarily benefits cyclists and pedestrians, bicycle and pedestrian education for grades K-8, scenic overlooks, interpretive signage, stream channel stabilization, and historic preservation and rehab of historic transportation facilities (must be on or eligible for inclusion on the National Register of Historic Places). Projects applying to utilize Transportation Alternatives Set-Aside funding must have a minimum construction cost of $50,000 and a maximum of $1 million. A project may exceed $1 million if it is of exceptional regional or statewide significance. The program is 80 percent federal funding and 20 percent state/local funding. PennDOT does not require the sponsor to provide a true local match, instead the sponsor is required to pay pre-construction activities and PennDOT provides 100 percent reimbursement for all construction activities. Sponsors must remember that this is a reimbursement program, no activities or construction performed prior to federal clearance via a completed Federal Form D-4232 the sponsor will not receive a reimbursement for incurred costs. Sponsors are highly encouraged to meet with both their Planning Partner (Metropolitan Planning Organization or Rural Planning Organization) and their PennDOT District to discuss the project prior to applying, additional points will be awarded to applicants who meet with both organizations. PennDOT will be placing an emphasis on projects that will be ready to begin construction by August 31, 2020 during the selection process. Projects with increased complexity through right-of-way, utility, environmental, public support, or other issues potentially adding to the cost or delay project delivery will score lower and are less likely to be selected. If you have any further questions regarding Transportation Alternatives Set-Aside funding or have questions on how P. Joseph Lehman, Inc., Consulting Engineers can assist eligible sponsors apply, please call Marty Malone, Client Services Director at (814) 695-7500, or by email at mmalone@lehmanengineers.com. By David Butterbaugh, Jr., P.L.S. A flood elevation certificate is an official document distributed by FEMA (Federal Emergency Management Agency) that requires various measurements to determine elevations concerning your structure or property. The elevations are to be compared with FEMA data devised from flood studies or assessed data in unstudied areas. Many people, who own property in a floodplain or an area close to a river, stream or body of water, need a flood elevation certificate. A variety of reasons sets the wheels in motion for the necessity of a flood elevation certificate. Perhaps you applied for a loan, applied for homeowners’ insurance, wish to build a new structure, an addition to an existing structure, or you’re looking to purchase a new place to call home. A simple review of your homeowner’s insurance policy or loan may trigger the need for a flood elevation certificate. In 2012 the Biggert-Waters Flood Insurance Reform Act created a tool for map and cost revisions. This put many new properties in a flood plain that were not considered for flood insurance before that time. When you need a flood elevation certificate it’s time to call a Land Surveyor. The Surveyor will conduct research for your property and research FEMA data to find the type of flood zone that applies. This will help determine the BFE (Base Flood Elevation) for your property and/or structure. The BFE is one of the main numbers your insurance or lending institution will be using to assess your potential costs. The BFE is the elevation the water may reach during a 100-year flood or storm (the strongest predicted storm in a 100-year period or a 1% chance of occurring in any given year). Once the preliminary office and research work is complete it is time to collect field and structure data. This will require a visit to the property to obtain measurements on the outside and inside of your house or building; such as floor elevations and major appliance (furnace, hot water heater, washer, dryer etc…) elevations. Once this data has been collected and processed it will be time to fill out the flood elevation certificate and seal the document for submission to you, your insurance or bank and possibly FEMA. In some cases, the data may show the need for a LOMA (Letter of Map Amendment) to have your structure or property officially removed from the hazard area. This would eliminate the need for flood insurance and is a best-case scenario. If your property or building is not LOMA eligible there may be a change in the premium. Sometimes the premium is significantly lower, sometimes higher and sometimes there is little change; I had a client get a premium change of $4.00 per year. It is of utmost importance to realize it is NOT the Surveyor’s job to get you out of paying flood insurance or to lower the premium. I have had people get upset when their situation did not change for the better. I have had people very happy when they became exempt and no longer had to pay for flood insurance. There is no way to know beforehand what the outcome will be. The role of the Land Surveyor is merely to obtain the data and submit it the institution involved. In other words, the Surveyor is merely hired to give truthful accurate data via a professional service. The professional team of surveyors at Lehman Engineers consistently provides high-quality surveying services to a wide range of private and public-sector clients. With decades of relevant experience, our survey crews are always lead by a highly-qualified Professional Land Surveyor, utilizing the most recent and innovative survey technology. Please do not hesitate to call us at (814) 695-7500 if we can be of service to you. With spring, birds return for the summer, baseball practices begin, and we begin to once again see what some have dubbed the state flower of Pennsylvania along our roadways, the orange construction barrel. As workers head out to maintain our over 250,000 miles of state-owned highways across the Commonwealth, safety measures are implemented by engineering designs, by contractors themselves, and by the Commonwealth of Pennsylvania. Unfortunately, current safety measures have not prevented all deaths in work zones. Since 1970, 86 PennDOT employees have been killed in work zones and since opening, over 30 Pennsylvania Turnpike employees have lost their lives in work zone accidents. According to the Federal Highway Administration, there were over 700 fatalities in work zone accidents in 2015. The Commonwealth of Pennsylvania currently does not have a program in place permitting the use of automated speed enforcement systems (i.e., cameras to monitor traffic), unlike our neighboring state of Maryland. In the 2015-2016 legislative session, Pennsylvania Senators worked to pass legislation (S.B. 840) to permit the use of automated speed enforcement systems (ASES) in active work zones. The legislation passed with full support of the Senate in October of 2016 but died when the session ended on November 30th. The legislation, now known as S.B. 172, was reintroduced in January of 2017 at the beginning of the 2017-2018 legislative session and referred to the Transportation committee, whereby a vote was held, and the bill passed with unanimous consent. Currently, S.B. 172 is tabled in the Senate awaiting further action. The proposed program will have a limit of five years with an opportunity for extension by the General Assembly. The purpose of this article is to help you gain an understanding of the proposed legislation and where the monies generated will be directed. ASES will automatically detect vehicles exceeding the posted speed limit by at least 11 miles per hour and record the vehicle’s rear license plate, location, date, time, and speed. S.B 172 proposes the implementation of such devices in active work zones on interstate highways under the jurisdiction of PennDOT, interstate highways, or freeways under Pennsylvania Turnpike Commission (PTC) jurisdiction. The use of an ASES will not be without warning, minimally two appropriate warning signs must be clearly placed BEFORE the active work zone to notify motorists. PennDOT or PTC must identify the location of an ASES on the corresponding, publicly assessable, website for the duration of the project. If the work zone is not active, an ASES cannot be used to assess fines. When a violation occurs, a notice will be mailed to the registered owner of the vehicle identified in the photographs. Along with the notice of violation, offenders will find a copy of the image recorded, the registration number, the date, time, and location, and instructions on how to remit payment or request a hearing. The fine for a violation under this law will be $100. Any violation will NOT be placed on the driver’s operating record or be used for merit rating for insurance purposes. Permissible defenses written into the legislation to protect owners from a wrongful penalty include; a vehicle reported stolen to a police department that has not been recovered prior to the violation and receipt of a notice of violation by an individual other than the registered owner of the vehicle. If an owner challenges a violation, hearing times will be held in the following metropolitan areas: Erie, Harrisburg, Philadelphia, Pittsburgh, and Scranton. The hearing will be informal, and the decision of the hearing officer will be final. An owner may request, in writing, to have the decision of the hearing officer appealed, in which case, the magisterial district judge for the district in which the violation occurred, will hear and rule on the matter. Photos collected by an ASES are not permitted to be used for any other surveillance purposes, be considered public information and accessible under Right-to-Know (P.L.6, No.3), and will be destroyed within one year of a notice of violation. The limitations of the program are null and void, should a court issue an order for the information to be provided to law enforcement officials regarding a criminal law enforcement action. If a court order is issued, images will be destroyed within two years of the order being issued, unless extended by a separate court order. S.B. 172 directs fines remitted into two separate restricted accounts established in the Pennsylvania State Treasury. The first account will be used to pay for the administration of the pilot program and the system administrator’s invoice costs. Once administration fees have been covered, the remaining funds will be directed into the second account. Seventy-five percent of the fines collected will be deposited on a quarterly basis. Within 90 days of the deposit, the Department of Revenue will transfer an amount equivalent to the previous quarterly deposit to the Pennsylvania State Police (PSP). Fifty-five percent of PSP funds will be used for recruiting, training, or equipping PSP cadets. Forty-five percent of PSP funds will be used to pay for increased PSP presence in work zones on PennDOT and PTC managed State road systems not utilizing concrete barriers. Twenty-five percent of fines collected will be transferred to PennDOT or PTC, dependent on whichever State road system utilized an ASES for safety and the education of the public on work zone safety. Funds generated are considered supplemental. Should the amount of funds be lower than the previous fiscal year, the Motor License Fund may not be used to make up the difference. PSP will not be prohibited from obtaining additional funding from any other means due to monies, received from the program. S.B 172 can be tracked via the General Assembly website here. Should you have any questions or concerns regarding this legislation, you may contact your Senator and/or Representative. Click here to find out who your legislators are and to get their contact information. To learn more about work zone safety check out Operation Orange Squeeze. P. Joseph Lehman, Inc., Consulting Engineers is committed to safety above all in construction zones and incorporates safety into our designs to the highest degree possible. P. Joseph Lehman, Inc., Consulting Engineers is made up of a growing team of highly-skilled professionals and experienced specialists in transportation design, structural engineering, site development, surveying, environmental science, environmental characterization and remediation, and geology and construction services. Lehman Engineers currently maintains offices in Hollidaysburg, Bedford, and Harrisburg, PA. These articles are condensed versions of the material covered in Publication 740, 2013 Edition. All credit is given for direct quotes and for the general process of local project delivery. In addition, interpretations and opinions of P. Joseph Lehman, Inc., Consulting Engineers based upon close to 50 years of relevant experience supplement the material. Your municipal project may be eligible for a variety of federal and state funding, depending on project type and meeting eligibility requirements that we will discuss more in Part II, Planning and Programming. In that section, we will discuss the Twelve-Year Transportation Program (TYP) and funding eligibility and options.